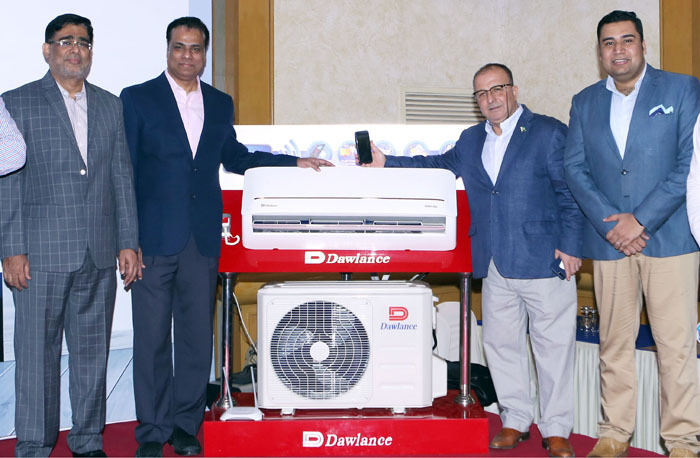 Dawlance unveiled its first ever connected appliance, Wi-Fi enabled Air conditioner under its designer plus inverter series. In an aim to lead the market in this segment, Dawlance has incorporated the latest technology standards with innovative solutions and offerings for consumers. Unveiling the designer plus inverter air conditioner and elaborating on the implementation of this new technology standard within, Dawlance Head of Marketing, Hasan Jamil said,“Dawlance is committed to bringing the latest technology at great value to all its consumers, and the launch of this new Wi-Fi AC range is another step towards the right direction. With a vision for providing simpler connectivity and more control to our consumers, we at Dawlance have created an Air conditioner with a revolutionary technology allowing it to be controlled at the touch of a smartphone from anywhere our consumers are on the go via ‘Dawlance Air’ mobile application. Speaking about the mobile application, he said, “These days’ consumers look for customized services and devices that simplify their lifestyle, and it is for this purpose that we came up with Dawlance Air mobile app, which will enable our users to access convenience on their fingertips, which is as simple as a three-step ‘Connect, Customize and Control’. With a noticeable surge in brands adapting to new technology trends in Pakistan, Dawlance has taken one step further to live up to the expectations of its consumers who have entrusted the brand as the most loved household brand when it comes to home appliances. The ‘Designer Plus Inverter’ air conditioner features 150v low voltage startup, high-efficiency compressor, power outage memory, 100% full copper pipe, and with a 12-year warranty covering the inverter compressor, it also offers an annual saving of up to PKR 30,000 on the electricity consumption.